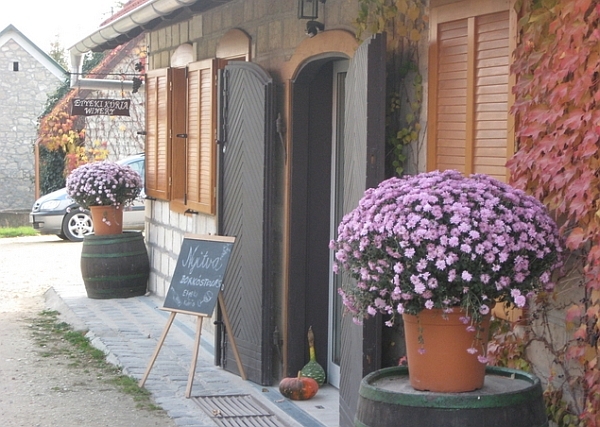 Etyek is one of the friendliest destinations near Budapest. Its wine region is a fine venue for pleasant meanderings in lands suitably called Devilpit-cellar (Ördögárok-pince), Newhill (Újhegy) and Oldhill (Öreghegy). If you want to taste the real flavors of Etyek, don’t leave without sampling the delicacies of Sonkamester, the meals at Rókusfalvy Fogadó and the wonderful wines, for example, at the atmospheric garden of Etyeki Kúria. The town north-east of Budapest can boast with about 70 sights but tourists come here mainly to see the Royal Palace (Királyi Kastély). The building has come to be known as one of the symbols of Hungarian autonomy as it had been the summer abode of Sisi, empress of Austria and queen of Hungary in the 19th century. Emperor Franz Joseph and his royal consort Queen Elisabeth, affectionately called Sissi by Hungarians, would often stay in the 250-year-old Baroque royal palace (1 Szabadság tér) of Gödöllő. The park of the Baroque building is beautiful, visitors are awaited with permanent and temporary exhibitions and classical concerts. After 200 years the restored Baroque Theatre is open to the public once again. The chapel and Calvary in Elisabeth Park are from the 18th century. 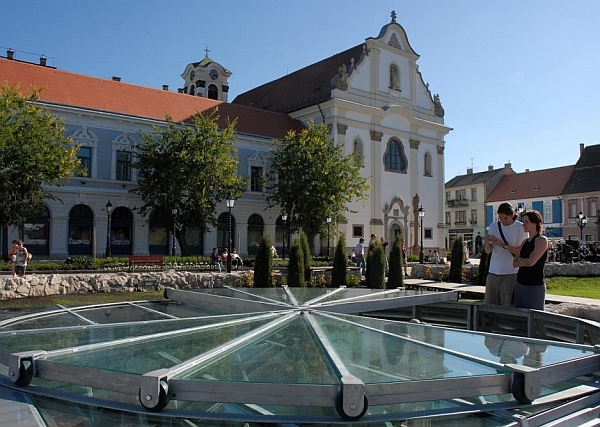 Because of the 700-year-old miraculous statue of the Virgin Mary, the devotional church in Máriabesnyő was elevated to the rank of basilica minor and became a famous shrine. The Hungarian Grand Prix takes place at the Hungaroring in the outskirts of Mogyoród in mid-August. There is an aquapark adjoining Hungaroring. Only 45 minutes outside the city by HÉV, this small Serbian village boasts a number of tiny museums, shopping opportunities, and pleasant strolls along the Danube. 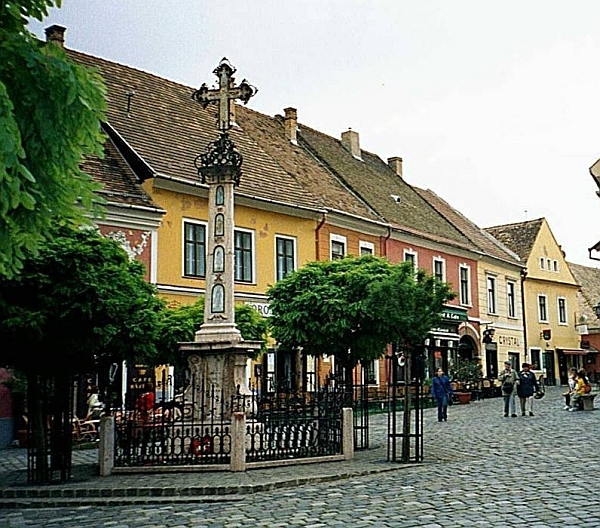 It’s hard to point out what makes Szentendre the charming town it is. You wouldn’t be very far from the truth saying either the Mediterranean feel, the little old alleys, the galleries, the tiny shops or the fresh air. One thing is for sure: the view of the Danube from the hills Szamárhegy and Templomdomb contributes a lot to the atmosphere. At the Museum of Micro Miracles (Mikro Csodák Múzeuma) and Művészetmalom exciting exhibitions are on display. The humanistic nature of the settlement is further emphasized by the collection of the Kovács Margit Ceramics Museum (Kovács Margit Kerámia Múzeum). And the most life-like museum is the Skanzen, an open-air ethnographic museum. A delightful town. The center square is a mix of historic buildings with a modern square completed in 2006. Vác is a one-thousand-year-old episcopal seat on the Danube bank. It was the terminus of the first railway service launched in Pest in 1846, at the time trains arrived here at a speed of 30 km per hour. The country’s only triumphal arch, the Kőkapu ("Stone Gate"), can be seen here, erected in 1764 to celebrate the visit of the Empress Maria Theresa. Konstantin tér is dominated by the imposing Classicist cathedral. The Episcopal palace (1 Migazzi tér) was built in the 18th century. The tabernacle of the Piarist Church and Monastery (Szentháromság tér) are also noteworthy. All houses on Március 15. tér are protected Baroque monuments. The Church of the White Company (24 Március 15. tér) was named after the Dominicans in white habit. Its altar is a richly decorated Rococo masterpiece. Aptly entitled "Memento mori", an exhibition in the air-conditioned cellar in the adjoining Baroque house displays rare 16th-18th-century burial memorabilia found in the vault. The bridge over the Gombás brook is the only Baroque stone bridge with statues in the country. 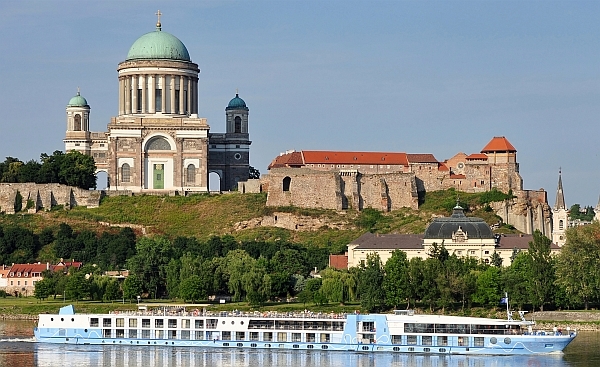 Hungary’s seat of Catholicism, Esztergom is located 46km (29 miles) northwest of Budapest. St. István, the first Christian king of Hungary, was crowned here on Christmas Day a.d. 1000. The cathedral has impressive views of the Danube and the rest of the city. Visiting the Rennaissance Royal Palace (Királyi Palota) at Visegrád is surely a kind of time travel, which is only taken to another level by seeking out the historical exhibition in the Citadel (Citadella). Going further on along the Danube make sure to stop by the town of Esztergom and see the most prominent Roman Catholic basilica of Hungary. Here you should get across the Danube – and the border, too – and revel in the sight of the church from the downtown of Šturovo, as well. Prince Géza founded the monastery in 969. This is where the gothic cloisters are housed as well as a magnifi-cendy ornate 19th-century library, with the most important collection of Hungarian historical documents. It sits on a hill between the forested slopes of the Bakony region and the low-lying Kisalföld (Little Plain), with a fantastic view. Esztergom is the seat of the archbishop of Esztergom, the primate of the Hungarian Catholic Church. St. Stephen (970?-1038), the first Hungarian king and founder of the country, was born in the castle erected here in around 970. Built on Castle Hill in the first half of the 19th century, the Classicist cathedral on Szent István tér is the country’s largest church with the world’s largest altarpiece, painted on a single piece of canvas. The cathedral incorporates the early 16th-century red marble Bakócz Chapel, the only intact Renaissance edifice in Hungary. The Treasury of the Cathedral exhibits the richest collection of Hungarian ecclesiastical art of some 400 items. The private royal chapel, the frescoed castle chapel and a rose window in the vicinity of the cathedral are remainders of a Romanesque royal palace. The Castle Museum (1 Szent István tér) in the restored halls of the palace of Árpád kings traces the history of the castle in Esztergom. 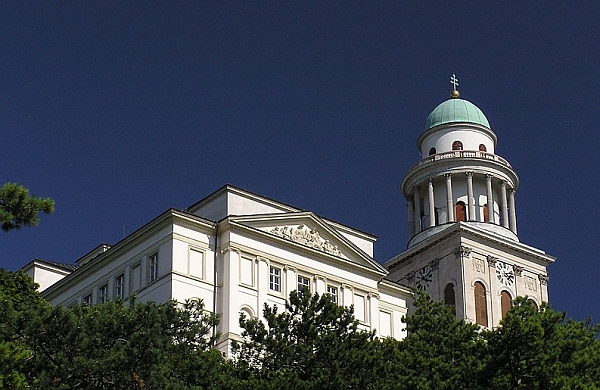 The head of the Hungarian Catholic Church resides at the Primate’s Palace (2 Mindszenty hercegprímás tere), which also houses the Christian Museum exhibiting the most valuable pieces of medieval Hungarian fine arts. The Baroque ambience on Széchenyi tér is created by middle-class houses and the City Hall. Topped by two spires, its parish church (1724-28) is a unique monument of Italian Baroque architecture. Located 40km (25 miles) north of Budapest., You first travel to Nagymaros, then take a ferry to Visegrád, you can find the ruins of King Béla IV’s reign. The Citadel and the reconstructed Royal Palace are among the places worth seeing. Visegrád, from here the Papal Nuncio, well used to pomp and chivalry, headed his letters "from Visegrád, a Paradise on Earth" when he stayed as a guest and saw the breathtaking palace of the great Renaissance monarch, King Matthias (1458-1490). With 350 rooms and two-tier fountains of red marble, it was one of the most luxurious royal residences of the age. The Renaissance courtyard of the palace and the so-called Hercules Fountain, which used to stream wine on various celebratory occasions, have been faithfully restored. The original fountains and sculptures are stored at the five-storey 13th-century Solomon Tower, which is one of Central Europe’s largest and most intact Romanesque fortified dwellings. Battle scenes are re-enacted in its courtyard on occasion. 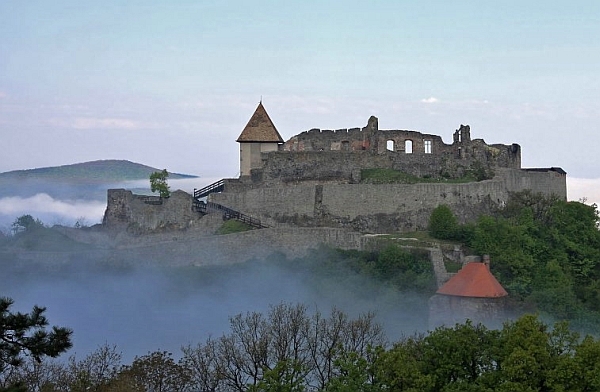 The tower is part of a defence system with massive walls connecting the 13th-century water bastion on the Danube with the castle on top of the hill. This system defended the royal court that was relocated here from Buda in 1316. The Holy Crown was kept at the Citadel built between 1245 and 1255 for nearly 200 years. It was also here in 1335 that the rulers of Eastern Europe met for the first time in history. The kings of Bohemia, Poland and Hungary concluded an economic agreement, to the exclusion of Vienna. On the nearby heights there are three notable things to see: the ruins of a Roman military encampment from around 330 AD on Sibrik Hill; the Nagyvillám ("Great Lightning") lookout tower on Fekete ("black") Hill; and Mogyoró ("hazelnut") Hill, a prime hiking destination with facilities including a bobsleigh course, a yurt camp, a camping site, forest restaurants, playgrounds and a game preserve open all the year round. Ördögmalmi ("Devil’s Mill") Waterfall, Magda Spring and Telgárthy Meadow, an ideal place for picnicking, are situated in the Apátkút Valley. A thermal spring in Lepence Valley supplies water to the 33-m long swimming pool of a terraced forest spa situated on a hillside. Downtown – Pest A buzz with pavement cafés, street artists, vendors, boutiques and nightclubs, the dowtown (belváros in Hungarian) or Inner City is the hub of Pest.